What Will Be Your Spinning Top? The depth to which virtual reality (VR) is integrated into multiple facets of our lives and society in the coming decade or so could very well begin the process of introducing a burgeoning world akin to Christopher Nolan’s 2010 mind-bending cinematic epic Inception. You ever have those days when real life doesn’t quite seem like real life? Get ready because that feeling may be redefined in ways (or dimensions) we can’t yet imagine. VR is a technological gold mine that has yet to officially strike, well, gold. In essence, VR has amounted to something closer to fool’s gold. Perhaps that’s not an entirely fair analysis, but the promise of an ever-expansive, seamless virtual world with newfound capabilities (fantastical and realistic) has been in the development phase for many decades. Yes, there are virtual reality headsets and games here and there. However, the technology has yet to be streamlined into our day-to-day lives. In other words, VR has not been given the Apple-treatment. By Apple-treatment, that means no individual or company has figured out the long sought-after universal approach to personalize VR like an iPhone or iPod with an overarching, dynamic, connected and reactive infrastructure. And that’s the key to VR becoming a technological gold mine. This streamlined achievement would be the pivot from intriguing accessory to necessity. When will this happen? Likely in the not-so-distant future. Why? The pieces are here, scattered and evolving as they may appear. Whether used for gazing up at the stars and planets or for gaming or for the growing VR for educational purposes (to name just a few), people continue to crave alternate worlds and realities. Or, at the very least, new and imaginative perspectives. The bottom line is that enough of the necessary pieces are around if someone or some company (new or established) has the ingenuity to envision the most expansive virtual reality ever imagined that will allow us to immerse ourselves in with animated curiosity. 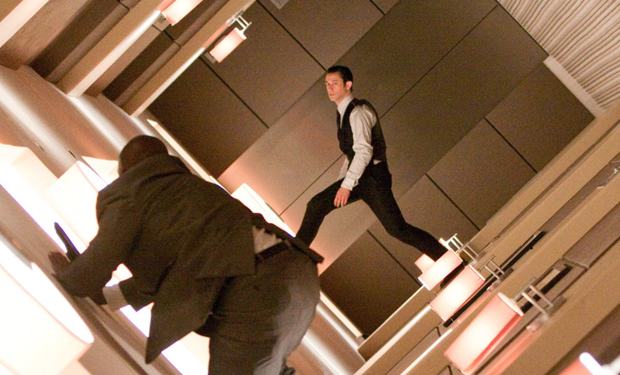 just wait until Inception is your new reality. Posted on April 20, 2017, in Uncategorized and tagged "Inception", Christopher Nolan, dreaming big, imagination, technology, virtual reality, visions for the future, VR. Bookmark the permalink. 1 Comment.